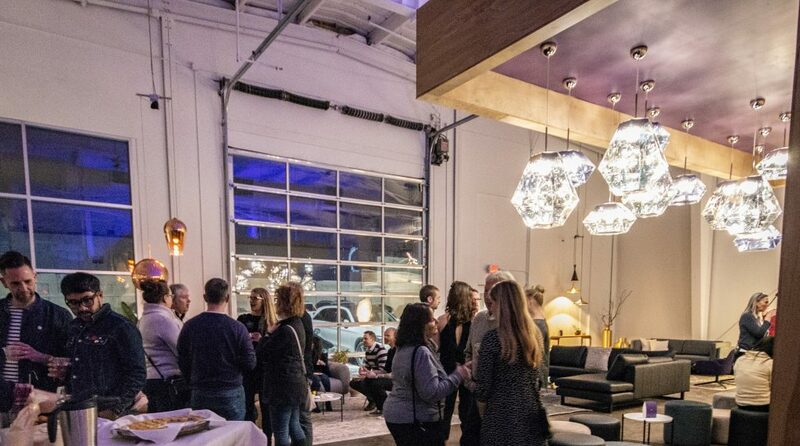 We provide a firsthand account of the Minneapolis-based furniture company’s launch party for its new headquarters in Northeast. Rypen’s launch party gave me major Herman Miller vibes mixed with a cool club atmosphere. Smoke swirled above bartenders as they made cigar-inspired drinks and mixed up custom cocktails. While the event was fabulous (I was particularly enthralled with a perfectly seared scallop as I thumbed through textile samples), it was the furniture that left the biggest impression. Rypen, which started as a way to make furniture shopping easy with a one-stop shop for many price points, assists everyone from homeowners and office managers to wholesale customers. It has its own line of products, but it also sources from high-end designers, and its furniture is a perfect fit for a modern home or office, especially ones with a mid-century influence. The showroom features vignettes of furniture adorned with clusters of pendants and Terrazzo coasters. Wool rugs and muted tones soften the concrete floors and industrial space. It felt relaxed and upscale, striking a balance hard to achieve. 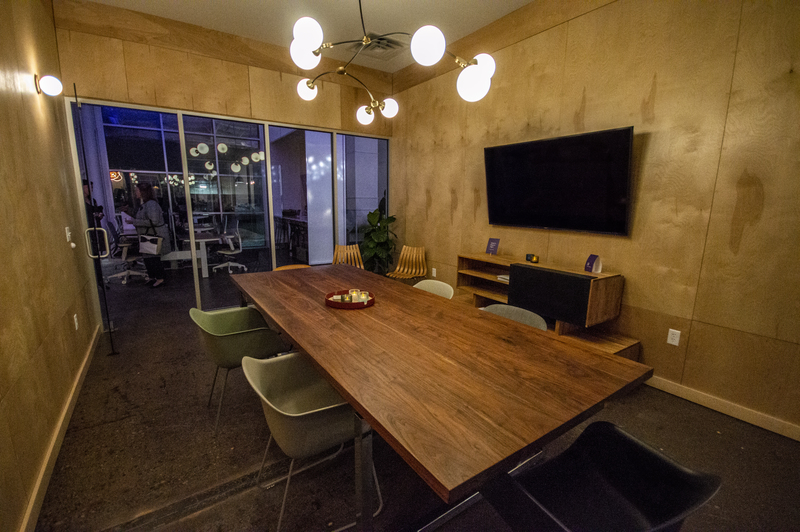 Rypen’s conference room is furnished with a stunning Artless writing table and mid-century design. As one of the few guests circling office furniture, I looked at the desks used by Rypen’s employees during the week. It completely fit the workplace vision of the industry leaders, with homey seating arrangements for casual meetings and compact wool dividers instead of cubicles. In addition to the new showroom, the company also relaunched its website with both Rypen originals as well as 60 other brands. All carry a modern look but have a wide range of prices. Lounge chairs range from $250 to $8,000, and shoppers can scroll through pages of furniture online or connect with a representative to help with the selection. The opening of Rypen’s 20,000-square-foot creative headquarters marks growth in this local company that encourages high design in the Twin Cities.